Walk the halls of Herod’s palace in Second Temple Period Jerusalem without a time machine? That’s an objective of the Virtual Reality Innovation Lab at the Tower of David Museum. Drink the wine our ancestors drank during Temple and Talmudic times? 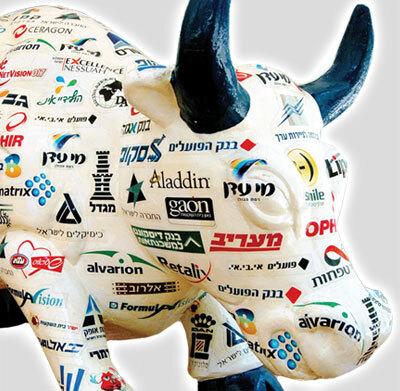 Already a reality at Ariel University. Briefing by Jonathan Lincoln from the Office of UN’s Permanent Envoy to the Middle East Peace process? Jonathan’s dad is a former Chair of the Rabbinic Advisory Council. Dayeinu, that would be enough, but it’s only a sample of recently concluded Israel Bonds 30th Rabbinic Israel Delegation’s program. 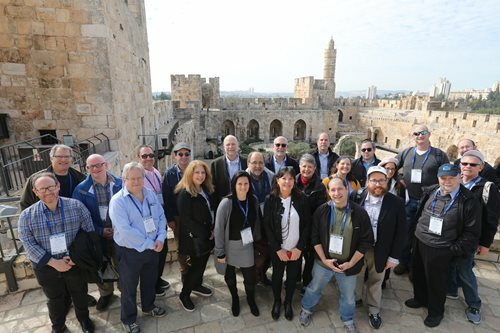 Rabbis (20 men and women) from Canada, UK, France and eight US states spent three and a half days together experiencing the impact of 67 years and $41 billion of worldwide investment in Israel through Israel bonds. Another day included a visit to the still-under-construction, not-yet-open-to-the-public Navon Fast Rail Train Station in Jerusalem just across the street from the Main Bus Station. 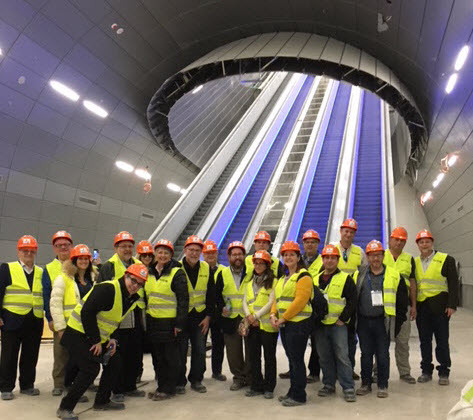 Tricked out in hard hats, safety vests and steel-toed work boots the group descended over 80 meters below ground to track level to test both the street-to-train and train-to-street path future passengers will take. Navon Train Station in Jerusalem. Hard hats required —still under construction. 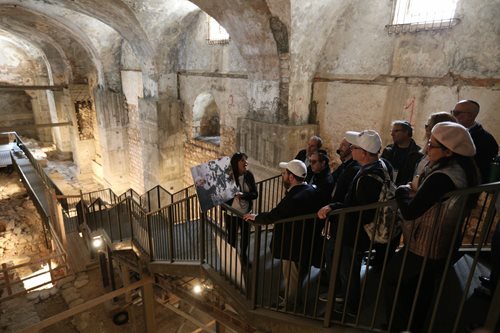 Later that day, they went underground again —sans hard hats and boots— to step carefully through still active archaeological sites beneath the Old City adjacent to what were, until recently, buried portions of the Temple Mount retaining wall constructed by Herod. Fascinating as they were don’t ask anyone to explain what they saw —the archaeologists themselves aren’t sure! Innovation, infrastructure and buried structures were just the beginning. 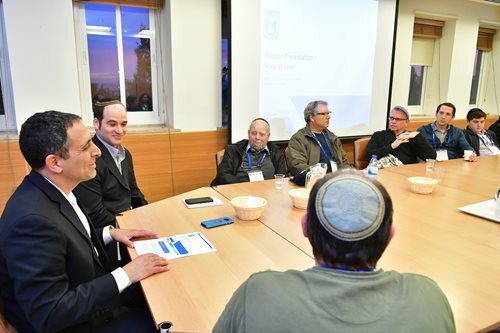 Add in lecture/discussion with Rabbinic Scholar and former MK Dr. Ruth Calderone in Tel Aviv and discussion of Israel-Diaspora relations with Natan Sharansky in the historic Jewish Agency boardroom in Jerusalem to cover the visual and intellectual elements of the itinerary but there’s more —programs for the heart that bookended the experience. 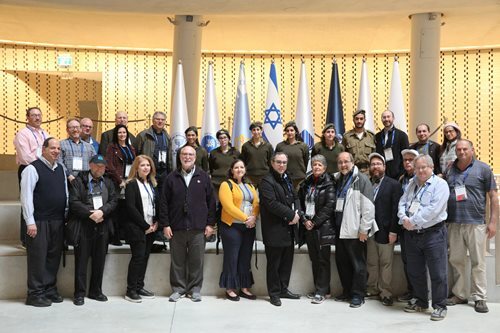 Opening the delegation was a volunteer visit to Neve Hannah —for over 40 years providing homes, love, and education to at-risk children from all over Israel; and the final scheduled event was dinner hosting a half dozen lone soldiers. 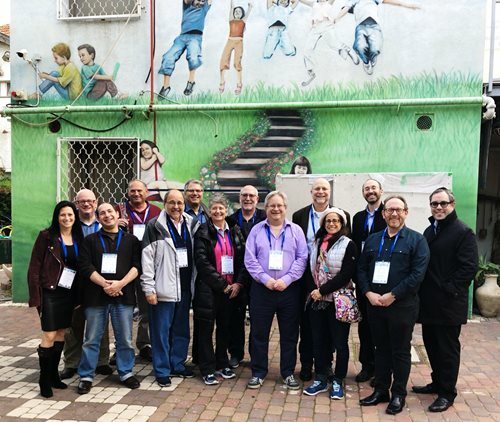 Hesed Project at Neve Hannah —homes, love, and education for at-risk kids. In sum, it was another "can’t miss" delegation in a series has now spanning four decades.